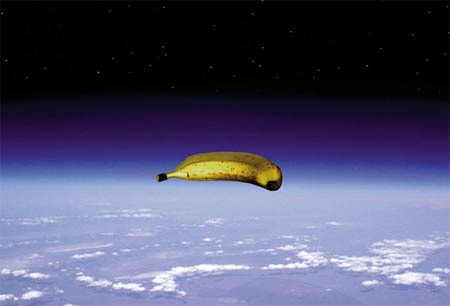 One of the funnier works of atmospheric installation art I've yet seen is the so-called Geostationary Banana Over Texas. 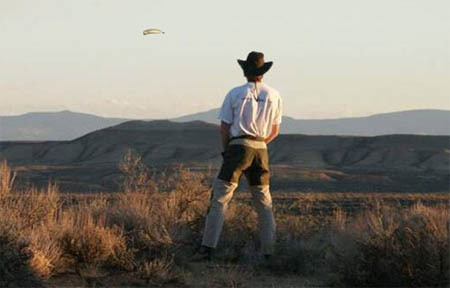 The project is described as "an art intervention placing a gigantic banana over the Texas sky." 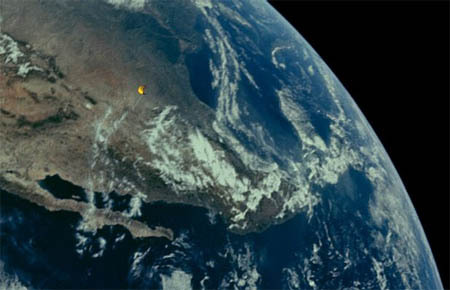 The banana, we read, "will float between the high atmosphere and Earth's low orbit, being visible only from the state of Texas and its surroundings." 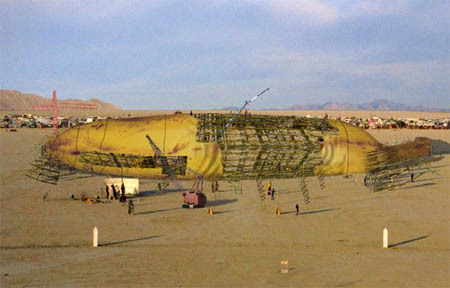 It will be 300m long, framed with bamboo, and filled with helium. I'm 100% behind the idea. 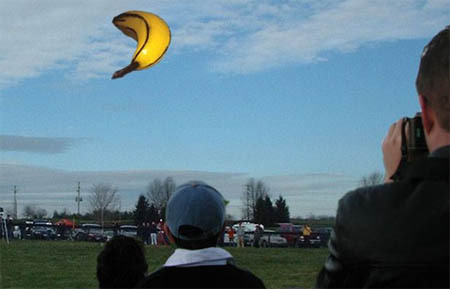 After all, the project's organizers remind us, "a banana appearing in the Texas sky might seem like a 'message'." This is hilarious. It reminds me of the seeds in space project they are doing where I work. The results of the project are not too interesting to most people. I like to believe that the radiation in space has turned the seeds into evil plant monsters...Like in attack of the killer tomatoes. Since we're betting on space botanicals here, I see your killer tomatoes and I'll raise you a couple of Triffids. this geostationary banana is definitaly a message! i think as soon as it's up there i'll take a road trip and take pictures. it's absolutly hilarious! somebody should have a fundraiser for them- if there isn't one already, someone should start one. someone should have a benefit for the guys who thought of this...they're geniusis!